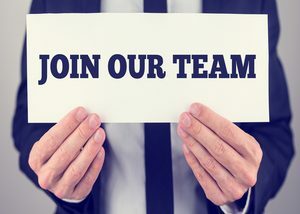 Marc Waring Ventures, the company behind the small business education website FitSmallBusiness.com, is seeking a small business expert to join our editorial team as our 10th staff writer. Founded in 2013, FitSmallBusiness.com is read by over 600,000 small business owners and managers each month. We are a fast-growing NYC-based startup, with headquarters across the street from Grand Central. Are you a business expert looking to share your knowledge? We are looking for an experienced business person, who has either started their own company or had P/L responsibility for a division within a larger company. The ideal person for this position is a former business manager with a broad range of experiences. These experiences may include: Hiring, managing and other HR tasks, marketing, and experience with the software involved in running a business (websites, POS systems, accounting software etc). Researching, writing and editing articles related to starting and running a small business. Analyzing and reviewing small business software and services. If you are looking to make a transition and start an exciting new writing career, this is the position for you. You have a minimum of 3 years business experience. You are comfortable writing about how to use small business technology products. A starting salary between $50K and $60K depending on experience.